Also forgot to mention, everytime I update the mod, you'll have to redownload the mod and replace the existing mod in your "custom" folder for the changes to take effect. Amendment Added my name on the credits list as per request by AoM. BugFix Fixed that one bug where the Scorch Shot and the Detonator explosion effects show up as red crosses. Hi there! I'm now porting content from TF2 Classic (In case you didn't know, it was a sourcemod based on TF2) which I done a couple of years ago, but never had the chance to release to the public until now. 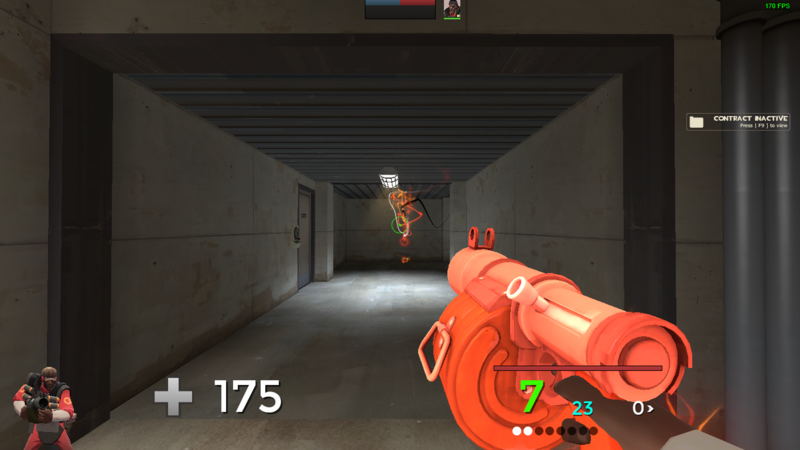 This is one of the stuff that I ported over to TF2 Classic that is: Particle effects. Replaces but not limited to explosions, rocket trails, flame effects, stickybomb & grenade effects, etc. Explosions, rocket trails and flame effects uses a spritesheet that resemble the explosions seen in various late 2006 - early 2007 gameplay videos (not counting the trailers). The original "MEDIC!" speech bubble restored! Blood has been recolored to look consistent and I've added a few touches in some blood particles. The buzzsaw blood particle now also looked like a spinning circle and therefore consistent with the spinning buzzsaw. I'll eventually upload more stuff that I ported over from TF2C, stay tuned mates! Pyro's flame effects aren't rendering for me? Minor issue, but the Halloween fire spell on the flamethrowers don't appear right. Is there any chance you could update them to look green or at the very least look like normal fire? If you're going to be porting content from TF2C, you need to do more research to find out who made each asset. These particles were all made by FissionMetroid101, with fixes to the explosion spritesheet done by me. Please fix the credits. Please also list your contribution in the credits/authors list. So, I just tested the mod, and noticed that the Detonator and the Scorch Shot explosions are nothing but red crosses. Was this supposed to happen? edit: can you make a version without the flame effects ?